Mugsy's Rap Sheet » Can’t ban guns? Try taxing gunpowder. I don’t know how serious he was, and I’m not sure Rock appreciated how brilliant his idea was at the time, but every time there’s a mass shooting in this country (the murder of four or more people by a single gunman takes place in the United States more than once a day), people are directed to Rock’s routine by others equally impressed, looking to spread this brilliant idea, and viewers wonder why no one has thought of it before. “We don’t need gun-control. We need bullet control. If a bullet costs $5,000, there’ll be no more innocent bystanders”, Rock declares. Random indiscriminate rapid fire weapons would be incredibly costly to use and ammunition difficult to come by. Rock’s brilliant solution has one minor flaw: A large number of gun enthusiasts make their own ammunition (my father being one of them.) If you fire lots of bullets target shooting, buying commercial ammunition can already get quite expensive, so many will pack their own bullets for pennies on the dollar. Simply making pre-made bullets more expensive will only drive more people to make their own ammunition, even foster an underground market for homemade bullets. That’s the last thing we want or need. We should instead focus on the propellant. And I’m not sure “$5,000/bullet” is realistic either. But that’s a minor detail people can work out later. When I first suggested “taxing gunpowder” about then years ago (and still, few have heard of the idea), I was informed that most bullets don’t use “gunpowder” any more. They use a more powerful powdered propellant called “Cordite”, so since then, I’ve always made sure to include “Cordite” in any proposed ban. You can’t just focus on one and not the other because all you’ll do is make the untaxed propellant more popular. Ideally, ANY explosive or propellant that can be used to make bullets should be heavily taxed, including liquids (like nitroglycerine) and clays (like C4.) If it goes “Boom” when ignited, it shouldn’t be cheap or easily available. Seems pretty obvious if you ask me. Subject: Can’t ban guns? Try taxing gunpowder. PLEASE propose a steep tax on gunpowder/cordite to make bullets too expensive to be fired indiscriminately and/or in high quantity as an alternative to a prolonged & ultimately futile debate over a “gun ban”. Placing such a tax on the propellant and not just the bullets themselves serves two purposes: One, many gun enthusiasts pack/make their own ammunition, and two, it would also impact “bomb creation”. And if someone purchases a large quantity of gunpowder/cordite, it will raise flags at the FBI whereas ammunition purchases typically do not. In 1994, Democrats passed the “Assault Weapons Ban” that made many (but not all) rapid-fire rifles (but not handguns) illegal. Included in the ban was a provision to make “high capacity magazines” that held more than 12-rounds illegal. No one needs a clip that holds more than 12 rounds and allows them to fire indiscriminately just to hunt deer. And if there are so many bad guys on your doorstep that you need more than 12 rounds of uninterrupted firepower to protect yourself, you aren’t going to win that fight without help anyway. Not only was it a brilliant move (focusing on the ammunition instead of the guns), but it also turned out to be quite effective. 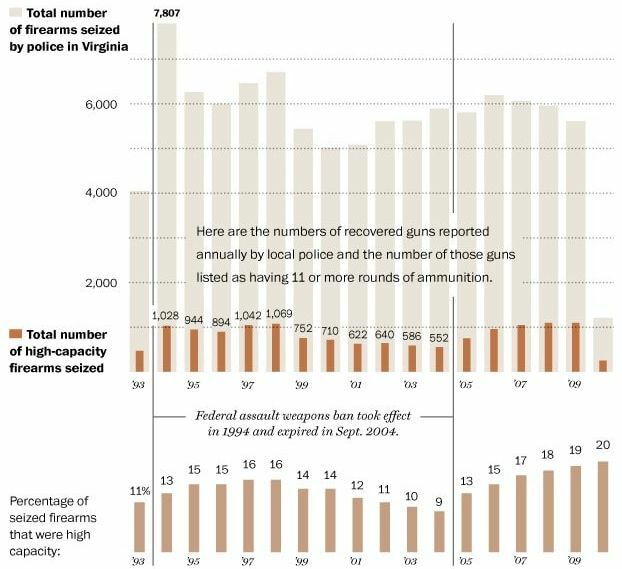 A 2016 investigation by the Washington Post found that the number of “Assault Weapons” recovered by police at crime scenes fell from a high of 16 percent in 1997/98, to a low of just 9 percent (and falling) when the Bush-43 Administration repealed the ban in 2004, calling it “a failure” (we heard this lie repeated again yesterday on “Meet the Press” as representatives of the Trump Administration claimed the ’94 ban “failed”… using the same logic that if a medicine doesn’t cure 100% of the patients who take it, the drug is clearly “a failure” and therefore needs to be prohibited. The only way Democrats were able to pass the ban in 1994 over GOP opposition was to insert a ten year sunset-clause into the bill, so when the bill came up for renewal during a Republican presidency in an Election year, its fate was sealed. It didn’t matter if it was a success or not, it’s mere existence was more offensive to Republicans than the lives lost without it. So the ban was dropped and the criminal use of assault weapons took off like a bullet. If you do a Google search on the effectiveness of banning “high capacity” magazines, the results look like a search on whether or not Global Warming is real. Nine results supporting the claim for every one opposed. And by no coincidence, Republicans make up the minority on both. Yet, despite majority support, the minority opinion rules the day… much the way an exhausted parent gives in to their screaming toddler throwing a tantrum in the middle of the supermarket: sometimes it’s just easier to let them have their way if you are to ever get anything else done. Almost immediately following the Vegas massacre, Republicans started looking for ways to deflect public outrage long enough to ride out the storm so that once again we do nothing. One incredibly offensive popular Conservative meme repeated after every mass shooting (including this one) is, “It’s just too soon to start talking about gun legislation.” Really? As Rep. Jim Hines (D-CT) pointed out last week, “No one said after 9/11: ‘It’s too soon to ask what happened and talk about how to prevent it from happening again.” (When IS the right time to talk about gun restrictions in this country? When Trump is busy threatening to nuke North Korea?) As others have pointed out, the day we allowed 20 First Graders and 6 teachers to be brutally gunned down in cold blood by a nut with an assault rifle and did ABSOLUTELY NOTHING to prevent it from happening again is the day we decided the rights of gun owners was more important than the lives of children. One of the things included in the failed 2013 Ban were those “Bump/Slide-fire stocks” like the ones used by the Vegas shooter last week. Earlier this year, another mentally deranged lone gunman opened fire on politicians (of both parties) playing softball in a friendly annual inter-Party game, nearly killing Tea Party Republican Congressman Steve Scalise. I wondered following the Vegas shooting if Scalise would emerge “a hero” and kick the NRA to the curb by finally conceding that something needs to be done about the easy availability of guns, or would “blind partisan ideology” reign and continue to defend the practice? Guess which path he chose? Scalise: “Why doesn’t the Media report the Good News on guns?” If you ever needed proof the love of guns is a mental disorder, now you have it. On one Sunday show yesterday, one Right-Winger hailed Scalise’s inability to see the consequences of making guns as ubiquitous as Tic Tacs as “a triumph of not allowing his emotions cloud his political judgement.” Seriously. I’m certain if this man’s son jumped off the roof with a towel tied around his neck thinking it would give him the ability to fly, this pundit would praise his son’s persistence for trying again the moment the cast was removed from his fractured skull. Failing to recognize the consequences of your actions isn’t an act of courage. It’s an act of stupidity. It’s ideology over common-sense and DEFINITELY not worthy of praise. 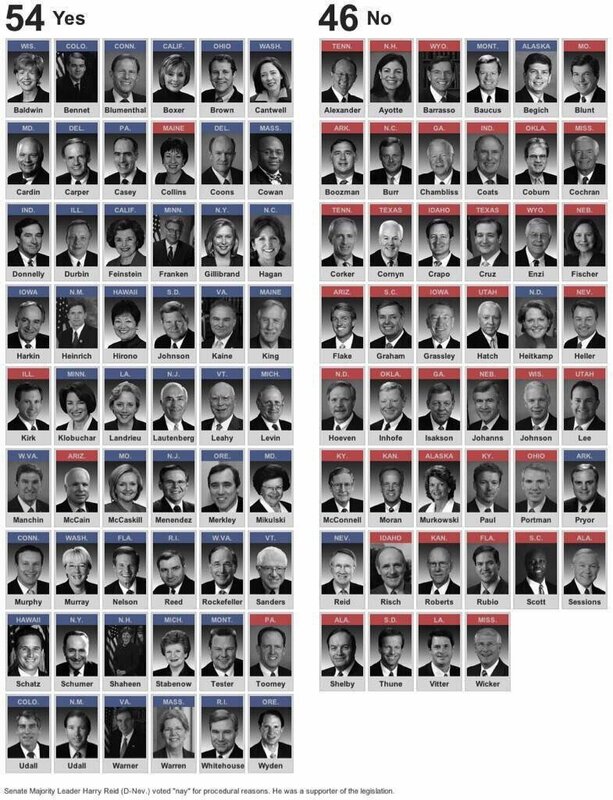 And these are the people we allow to dictate our gun policy. If you buy 38 guns in one year… or even one DAY… there are no “red flags” to be raised because the Gun Rights advocates won’t let gun retailers record who buys what & when. So while buying 38 guns in one big purchase might lead a concerned retailer to contact the authorities, buying 38 guns over the course of a few hours from multiple retailers wouldn’t raise any red flags. NO ONE… not even the Federal agency running the background checks… is allowed to keep a record of who bought what, when & where. There would be no way to know all those weapons were being purchased by the same person because of the NRA paranoia over a “gun registry”. Master of Distraction Trump used the old racist GOP chestnut of pointing to “Chicago, with it’s tight restrictions on gun ownership yet having the highest gun murder rate in the country” as “proof” that “gun control laws don’t work.” NRA Executive Director Chris Cox repeated the half-truth as well during Fox “news” Sunday yesterday. If Chicago has such tight restrictions on gun sales, then where are they getting all those guns? Ever look at a map? The distance from Chicago’s “East Side” to deep Red state Indiana can be measured in Raisinettes. Neighboring Indiana… the state where Mike Pense just left as governor to be Trump’s VP… has some of the most lax gun laws in the nation. You could literally walk out your back door on Chicago’s South-Side and make a strawman purchase of a dozen guns from someone living in Indiana, and there’s be no way for the authorities to know. Or one could drive ten minutes down the road and across the border to any of several gun retailers (or several Wal*Marts) to buy your guns legally. Is it any wonder Chicago continues to have such a problem with gun violence despite tight restrictions on gun purchases when circumventing the law is as easy as crossing the street? 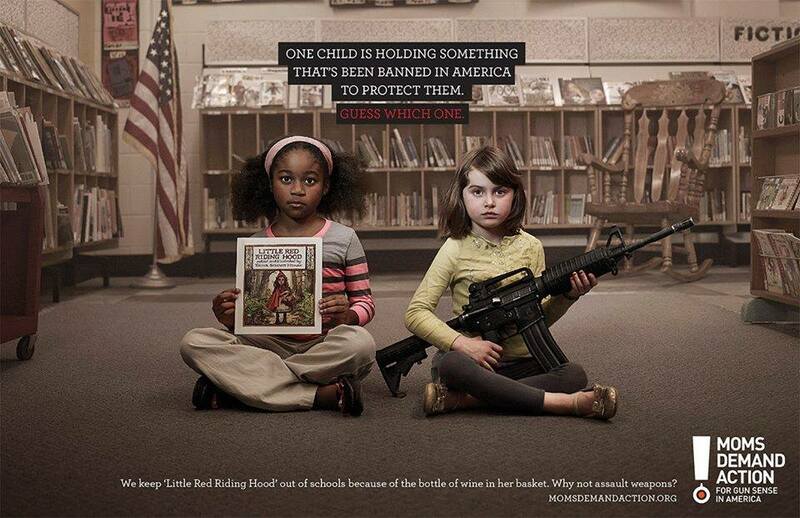 Well, there ARE things we can do, and we should start by focusing less on the guns and more on the ammunition. The 1994 ban on high capacity clips was a step in the right direction, thinking outside of the box. The Constitution (arguably) protects your right to own a firearm. It does NOT guarantee you the right not to be inconvenienced by having to stop & reload after firing more than a few rounds. The Republicans only defense against the ban on high-capacity clips was to lie and claim the ban “didn’t work” after just a few years. They couldn’t argue the ban was “unconstitutional” or that people had an inalienable right to not to be inconvenienced (if that was a right, all those Conservative voter suppression laws would be toast), so all they were left with was to lie. Background checks… while crucial… have a high failure rate. The Vegas shooter passed his background checks with flying colors. No criminal history, and despite (reportedly) being a pro-Second Amendment zealot who believed anyone who did NOT own a gun was a danger to society (mull that irony over for a moment), there were no warning signs to give anyone reason not to sell him his arsenal in the first place. And there’s no “waiting period” or “background check” to buy tons of ammunition or aftermarket modifications like a “bump stock”. The kid who murdered nine parishioners in Charleston, SC two years ago would have failed a background check, but was still allowed to legally buy his guns because the background check process “took too long” (over 36 hours) and by law, you can’t force anyone to wait more than 36 hours to buy a gun. 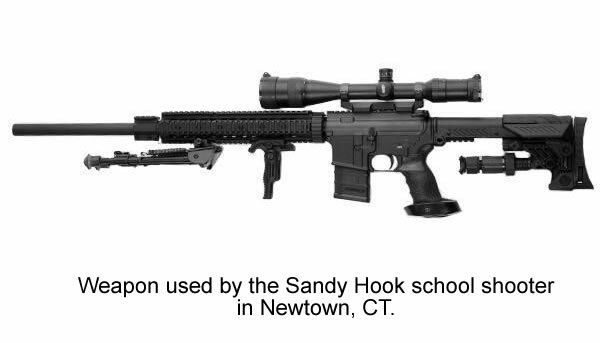 The Newtown murderer got his gun from his Mom… another gun nut. She trained her socially awkward son how to shoot because she feared Obama was coming to take her guns and wanted to give him confidence… which he apparently found as he used her own Bushmaster to murder her in her sleep before trotting off to his old Elementary school where he had been teased as a child nearly a decade before. The “2nd Amendment is there to protect you from your government” myth is probably THE most pervasive/destructive misconception about guns that the NRA & Gun Rights Advocates have been working overtime to convince the already paranoid anti-government low-education demographic for decades is why they need an arsenal in their home. They truly believe that the only thing keeping the government from coming into their home (for no clear reason) is the fact they own 47 guns. The military may have tanks and Hellfire-armed drones, but Bubba with his AR15 and a cooler full of Coors is going to turn them away if they come knockin’. As I’ve cited on this blog several times, the Constitution uses the word “treason” SEVEN TIMES. Not once does it say you have the right to shoot your congressman if you disagree with them. Instead, they gave us the FIRST Amendment, which grants us the right to free speech to redress our grievances, and the ballot box to vote out anyone we don’t like. It even says the purpose of the Second Amendment is to “secure a free state“. Protect the country from those who seek to attack it. Yet amazingly, Second Amendment zealots are quick to ridicule the Right to Free Speech (“How dare those people disrespect the flag by kneeling during the anthem!”), find new & creative ways to deny people their right to vote, and threaten to attack the government if they feel threatened by it (“Yeehaw! The South shall rise again!”)… arguably, today’s Second Amendment zealots are the very people the Second Amendment was intended to protect us from! If only supporters of the Second Amendment were as fanatical about protecting The First. Never look for logic where none exists. Stricter background checks by themselves are not the answer. “Mental health checks” & “background checks” only catch people who ALREADY have problems and personally purchase their weapons through a licensed dealer. Roughly 45% of all gun sales do not go through a commercial dealer in a gun store. We’ve all heard of the “Gunshow Loophole”, then there’s the “gifting” of weapons, the sale of “used” weapons person-to-person, and most Internet sales. None of which are subject to a background check. Banning certain “types” of weapons doesn’t work because gun manufacturers and “after-market” equipment makers simply find legal ways to circumvent the law. But all guns need ammunition. It’s not a protected right that is not immune to regulation or restriction. When Justice Roberts infuriated Conservatives by declaring the “ObamaCare mandate” to be legal, he justified it by saying the government can legally tax you for ANY reason. “If it wants to, the government can tax you for breathing”, he said in his decision. And such is the case with “ammunition”. The Second Amendment does not guarantee you a right to a cheap, unlimited & uninterrupted supply of ammunition. If the government wants to tax the hell out of bullets to make them too expensive to be fired indiscriminately and making mass murder by rapid fire weapon too costly, then there is no law against it. Conservative Justice Roberts says so. Focusing on devices/mods like “Bump stocks” is a distraction. It’s a sacrificial lamb the Right will willingly toss to the wolves to protect unfettered gun ownership overall. Not only are “bump stocks” a small and obscure market, they’re actually only ONE OF SEVERAL aftermarket modifications you can attach to any semiautomatic weapon to make it perform like a fully automatic. There is also a device called a “Gat Crank” that basically turns any semi into a Gatling Gun (I wonder how readily the guy in the video would have cranked off between $3,000 and $30,000 worth of ammunition for the 5 seconds of fun he had showing off his new toy?). Another device is called the “Hellfire Trigger”, a simple spring that makes pulling the trigger easier so you can fire faster. And that’s just the two I personally know of (and I know next to nothing about guns.) So restricting/banning just one particular gun mod isn’t enough either. It’s time to think outside the box on this one. I’ve always found it slightly ironic that the “Party of Life” is full of gun zealots who think Jesus was born a Republican with a gun in one hand and a guide to Capitalism in the other. 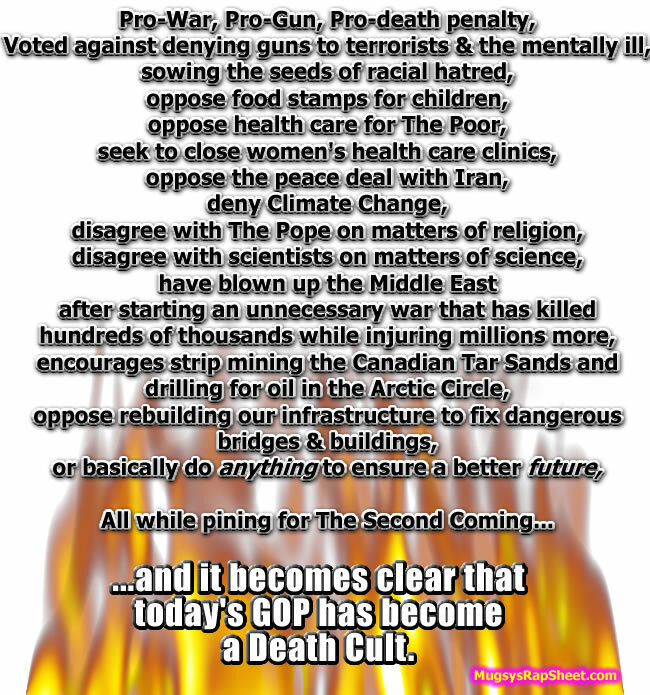 But then I remember that “Conservatism is a Death Cult” and I remember once again why things are the way they are.